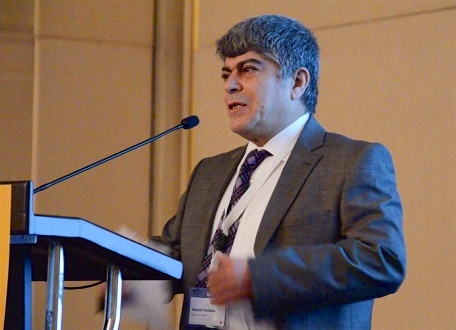 Professor Dr Bülent Yeşilata is one of the key experts of solar heating and cooling research in Turkey. He is Professor and Dean of the Engineering Faculty of Harran University in Şanlıurfa, Turkey, and a member of the IEA SHC Executive Committee. Yeşilata was the scientific chair of the international solar thermal conference SHC2015, which took place in Istanbul at the beginning of December 2015. Solarthermalworld.org spoke with him about the challenges and the highlights of the conference. Solarthermalworld.org: SHC2015 was the fourth conference organised by the IEA’s Solar Heating and Cooling programme. What made the event a special one? Yeşilata: SHC2015 was indeed the fourth IEA SHC conference after the ones in the USA, Germany and China. Turkey, as one of the top solar thermal markets worldwide, fits very well into this list of conference hosting countries. On top of that, the conference was a special event in another important function: SHC 2015 was held in Istanbul during Turkey’s first year as an official member of the SHC programme. I am extremely grateful that the prestigious Executive Committee decided to make this happen. Solarthermalworld.org: The preparation of such a high-level research event usually starts a year in advance with a call for papers. How was the response from solar heating and cooling researchers participating in the SHC2015? Yeşilata: Preparation work for the conference began even much earlier than the call for submissions. As soon as the call had been published, we started to receive a large number of abstracts for oral and poster presentations. The response was extremely satisfactory, as the conference included sensibly chosen new and special topics. The committee received over two hundred abstracts on research topics spanning from simple solar water heaters to the most advanced solar cooling methods. Solarthermalworld.org: The participants really appreciated the quality of the SHC scientific programme. What was your key strategy when creating the programme? Yeşilata: Most of the participants, all of the visitors and nearly all media representatives evaluate the conference only by the event itself. This part is indeed only a small portion of the entire workload for setting up a high-level scientific conference programme. The key to success was a very collaborative effort of all stakeholders involved in SHC2015. The organisers from PSE in Germany had an excellent and efficient online tool for reviewing submissions. The SHC programme provided a straight workflow, which we we tracked respectfully, and the other supporting organisations, such as ESTIF and GUNDER, gave us tremendous assistance. The three chairs of the conference, Daniel Mugnier, Pedro Dias and I, were focusing our collaborative efforts on making the conference a success. Last but not least, we followed a high-quality review process involving prominent experts from all over the world, as well as members of the Scientific Committee. Each paper was examined by at least two people. None of the papers were accepted before any concerns by reviewers were resolved to our satisfaction. Therefore, my biggest thanks to the authors for their enthusiasm and to all reviewers for their painstaking work and the time they spent on the evaluation process. Solarthermalworld.org: The conference included 7 keynotes, 114 speeches and 110 posters. What were the highlights of the programme? Yeşilata: The conference committee had put together a truly unique programme which addressed all hot-button issues in solar heating and cooling and the related technologies. The main message implicitly given to all presenters in the programme: No matter in which session, no matter whether you are from the industry or the research sector, your work is as important as a keynote speech. We tried to incorporate SHC Task progresses, industry outputs and ongoing scientific research into the conference programme. There were solar resource assessments, discussions about regularity issues and needs of end-users as well as a special session for the MENA region. Solarthermalworld.org: The solar thermal markets in central Europe have been shrinking? Which impetus did the conference give to change such a trend? Yeşilata: Let´s put it another way. The requirements for solar water heaters have been met for many years. Sales are now a matter of an increase in population and in the number of homes, a quite low figure in Europe. Besides, end-users have begun to demand more versatile products which will perform other tasks besides just generating hot water. Nowadays, consumers are more interested in using central or district heating, as well as cooling and electricity from solar. We easily see larger solar thermal installations around Europe and the world. Not many of the solar thermal companies were ready to throw their weight behind these new developments until two or three years ago. Some in the community believed that solar photovoltaics would replace most solar thermal products. I am happy to report that most participants seem to have got over such a gloomy prediction and were very confident about the future of solar thermal. The conference showcased a lot of value-added research. I, myself, observed that the Technology Readiness Level of many presented, innovative products was at 5 or even higher. The only exception, which is quite understandable, was the field of compact storage materials. Most experts agreed that thermodynamic science would come up with the right storage technology for the relevant application in the future, which would certainly favour solar thermal systems. Such was the impetus that came from the conference, and we will be able to see a strong change in the current trend over the next decade.